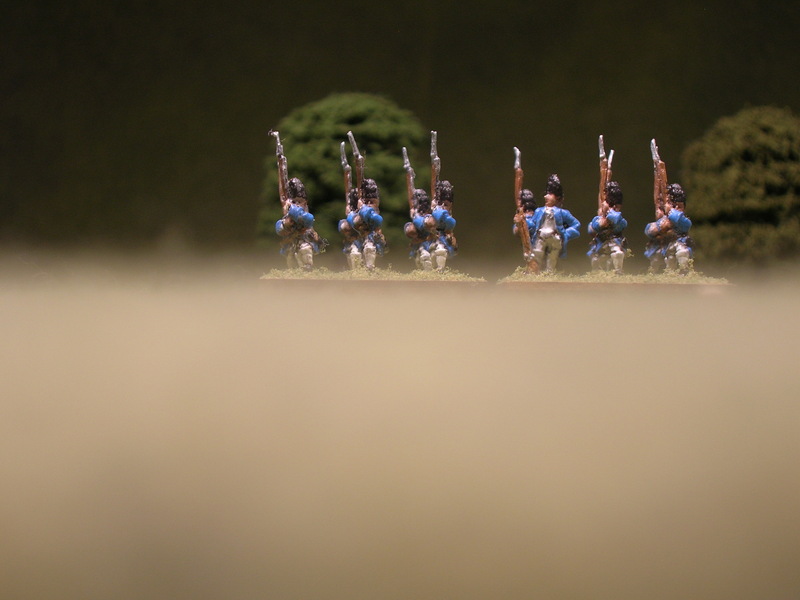 With the Lone Star Game Expo behind me, I can return to other projects. 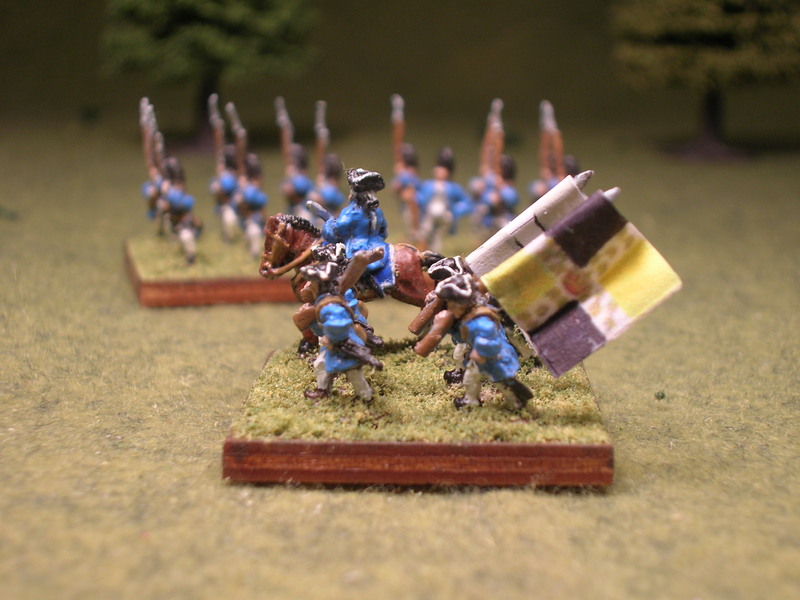 This past week, I finished the 1st Battalion of the French Regiment, Gardes Lorraines. 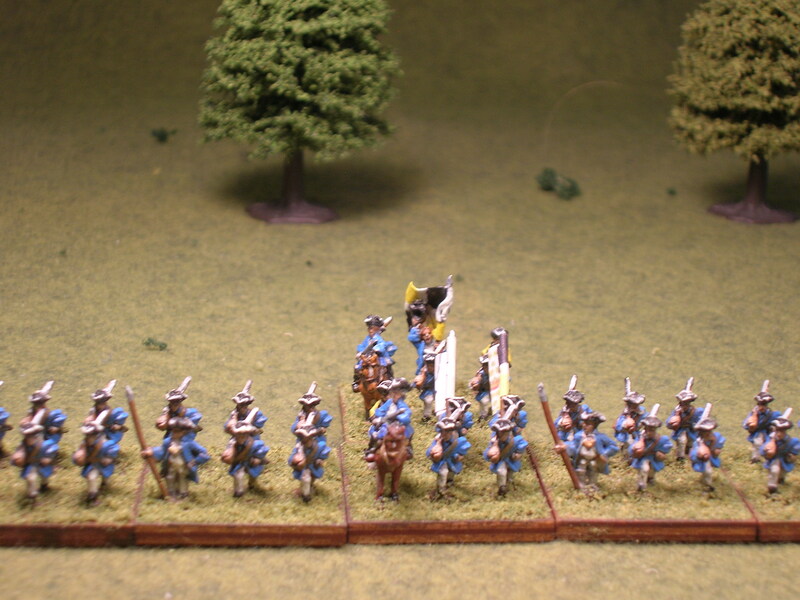 I now have 2 Hanover battalions completed and 2 French battalions. 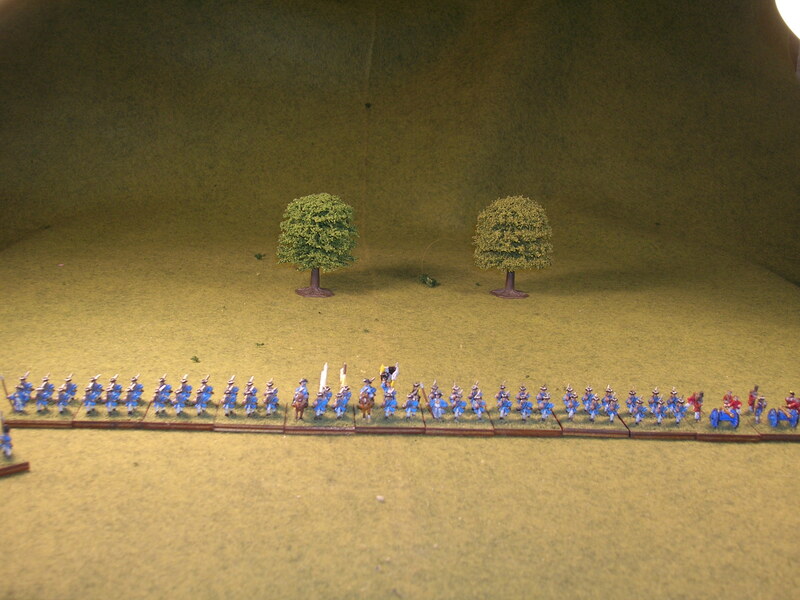 If you haven’t been following, I’ve departed from my usual 28mm figures and am doing this project in 10mm. 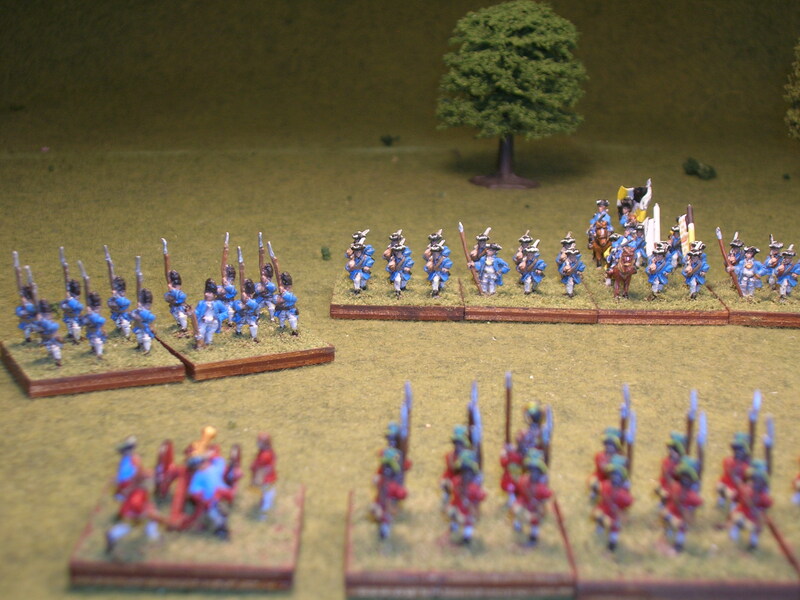 The figures are from Pendraken and are quite nice to paint. 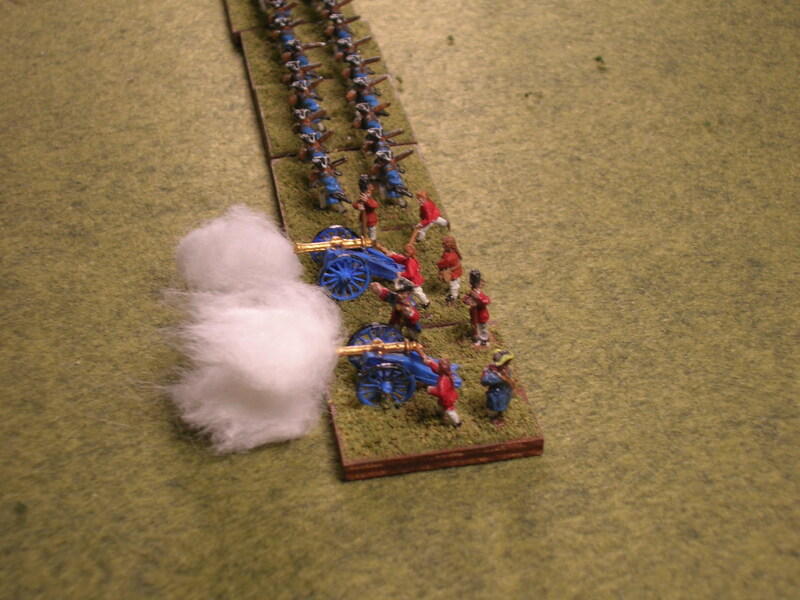 You may wonder why I chose a Napoleonics rule set over Muskets and Mohawks which is set in the French and Indian War. 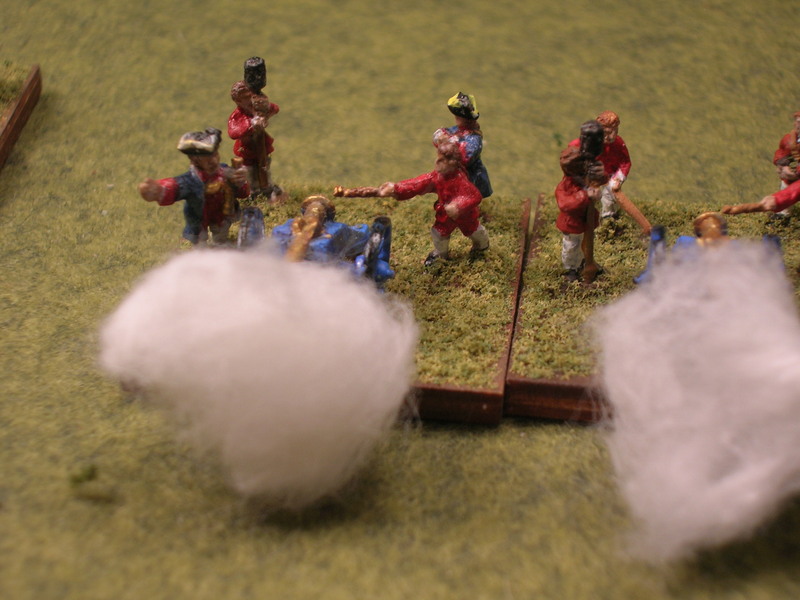 It is simply that the kleinkrieg was fought with small combined arms forces, sometimes called a “corps” during this period. 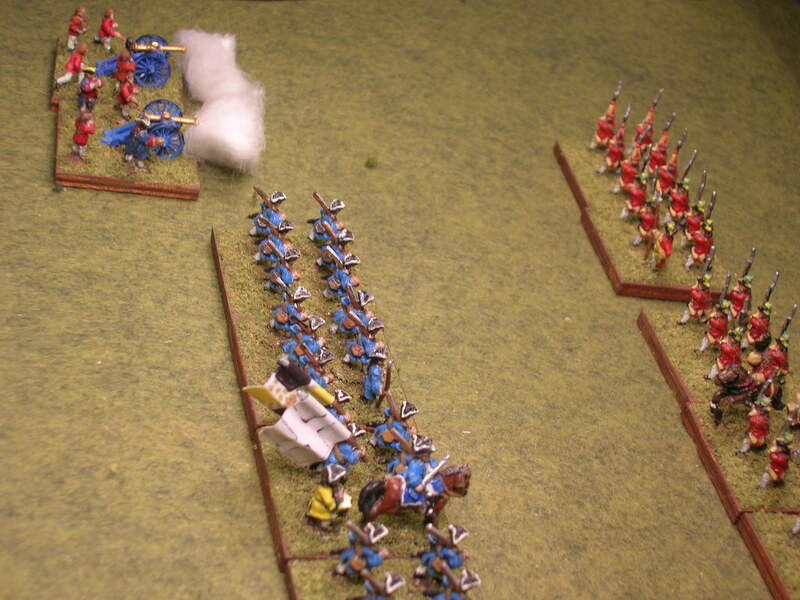 Note that the Seven Years War corps were nowhere near the size of corps of the Napoleonic wars and later. 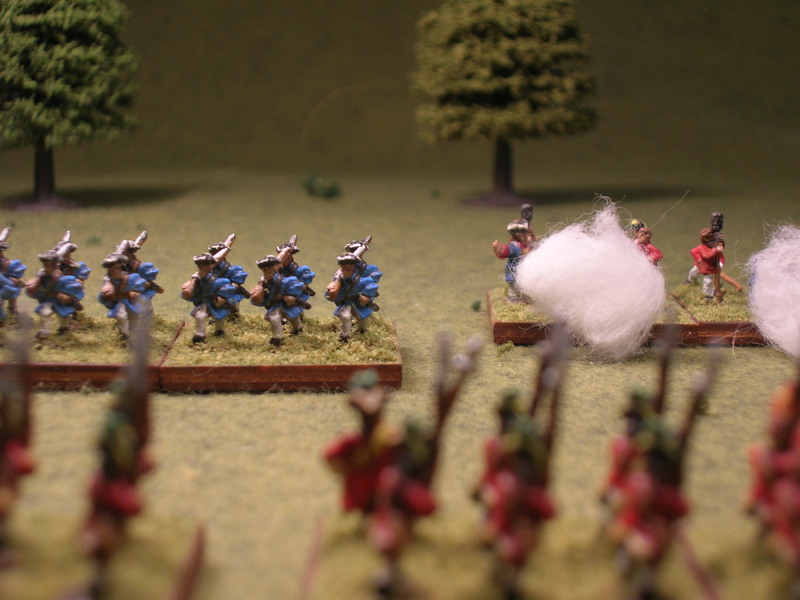 The platoon is the basic unit of maneuver in Muskets and Mohawks with a few companies being the largest size of force in the game. 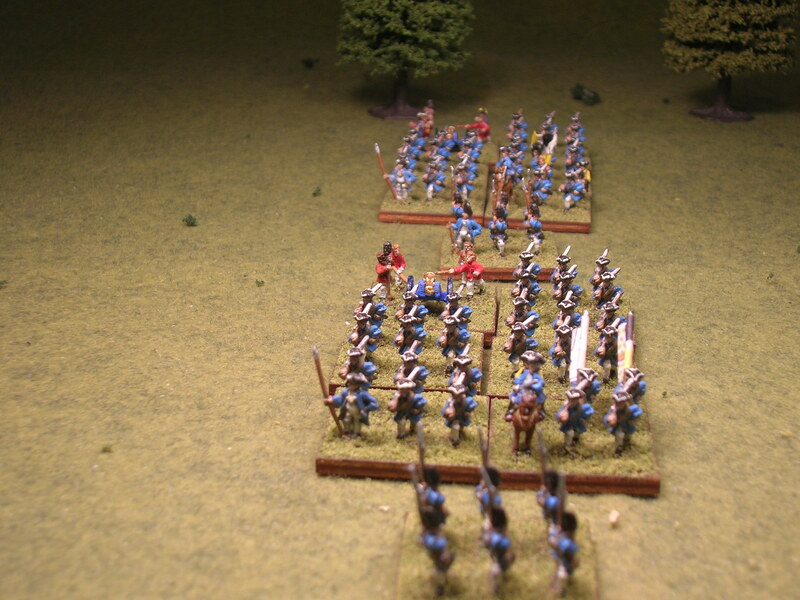 Muskets and Shakos is centered on the battalion. 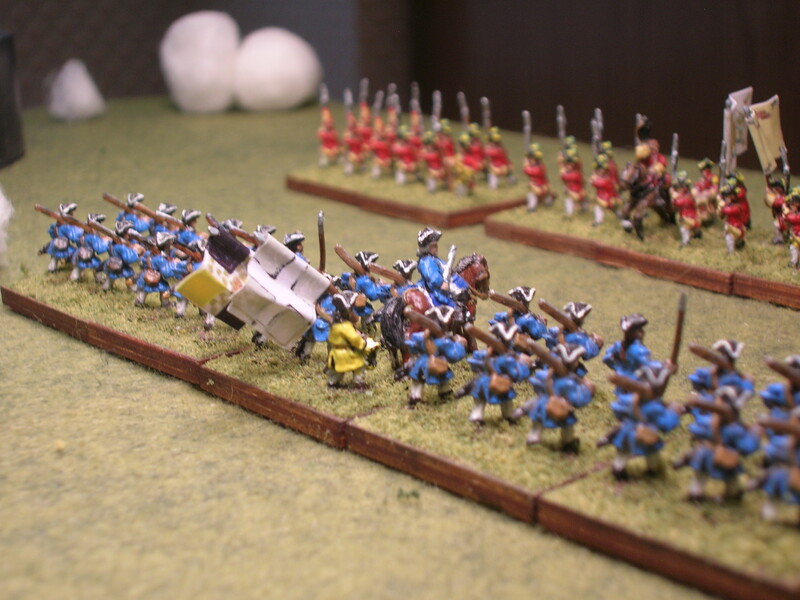 The command stand of the 1st battalion has both the Colonel’s Color and the Regimental Color, while the 2nd battalion has only the Regimental Color. 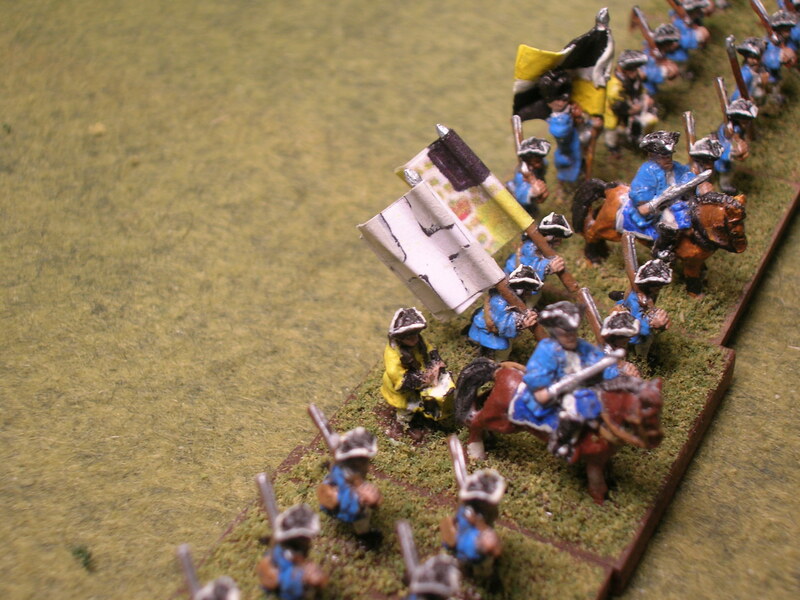 The paper flags for the 1st battalion were printed from the Kronoskaf Seven Years War Project and the metal flag for the 2nd battalion was hand painted. 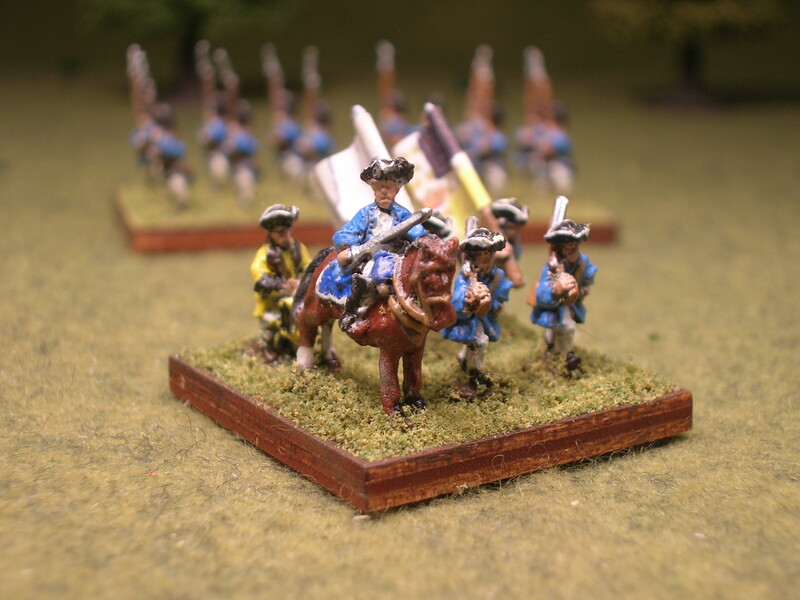 Next up is the Brunswick Leib-Regiment for the allies. 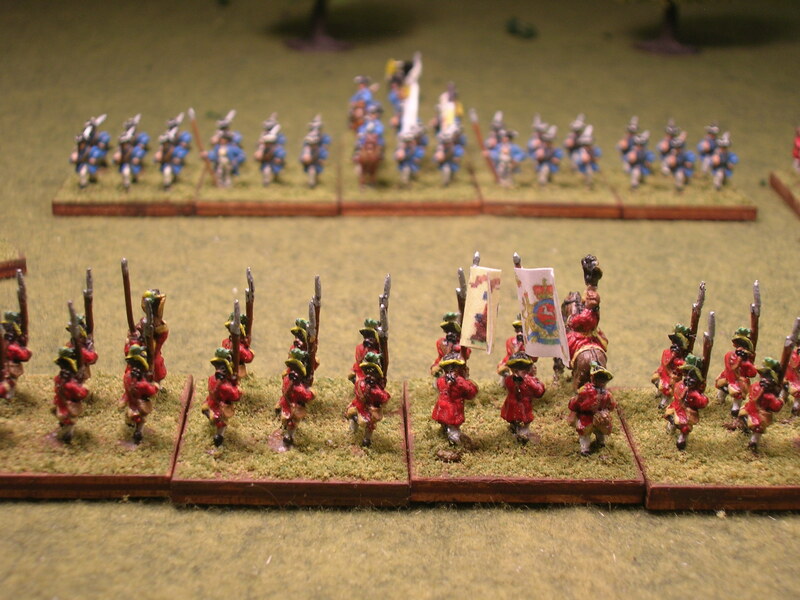 The regiment consists of 2 battalions, but unlike the Hanover battalions, the grenadier companies have been assigned to a composite grenadier battalion. I hope to finish this project by the end of the year. As always, comments are always welcome. And if you haven’t gotten your copy of Piathoe’s Peaks, yet, it’s still available!